Hey everyone, it's Michael. I have two big problems with today's post. One is my video and the lack of bells and whistles in it. But, when I have time, I will work on my future editing skills. If you cannot see the video, or if your browser does not take you directly to the video - CLICK HERE! And the second problem is that - this mini album is totally addicting!! Once you make one, you are going to want to make them over and over. No, really, I have made a stack of these minis!! 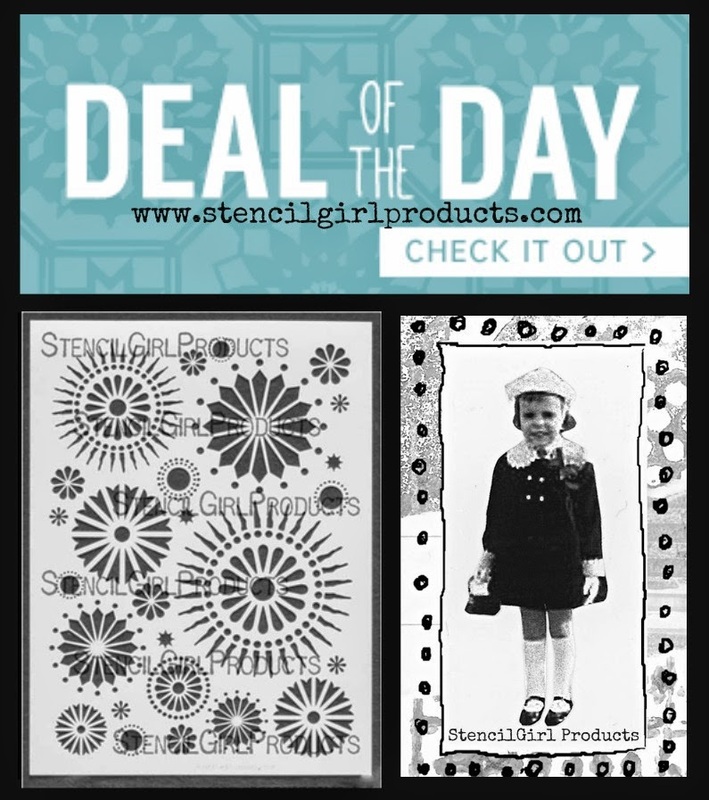 Before you go.....the Circle 9 stencil that I used in my book is also the Deal of the Day over at StencilGirl Products today! I cannot wait to see what you guys make. Fabulous tutorial Michael! Welcome to the world of video!!! LOVED hearing your voice! Great job! I really enjoyed your tutorial. It's nice to have a voice to go along with the photo,too! I definitely want to give one of these books a try. I'll post it after I do. Thanks Raine!! Can't wait to see what you make. Loved this video and these little mini books! Awesome job with the colors and stencils. Can't wait to try it myself, although now I want some of the stencils you showed in the video. Loved that chevron stencil. I only have 6x6 stencils so we will see how that goes. Thanks for sharing. Thanks Katie. Andrew has several chevron stencils with StencilGirl and I love them all!! Use your 6x6 though and just have fun with this project. Don't forget to share what you make. Love, love, love these little mini albums and will be definitely trying them. Great video, looking forward to more from the world of Michael Trent! ooh my! I'm throwing my stuff in a suitcase for a weekend away visiting. Wish I had these in there as well as they are PERFECT thankyou cards/books!!! Excellent! Thanks Elle!! I have a feeling you are going to make a bunch. Thanks Rebecca!! Love Dylusion sprays!! Glad you liked the music...I thought it was distracting. But, I love Bossa Nova when making art. is beautiful, and thanks for the fantastic tutorial!!! Gracias!!! Glad you liked it. What an awesome awesome tutorial! Thanks a zillion Michael!! wowwawowawow Micheal!! I loved this project and your video. Well done!! Your voice is as great as your smile too. Keep inspiring us. Oh Michael, what a great video and project idea. It seems like a great project to get your Muse working. Thank you! How cute! Love those mini books. I will be trying these! I may need a scholarship program for stencils and sprays..you inspire me to want all of them! Your video was good, easy to follow and definitely motivating. Almost as colorful as the market pictures you posted on FB...Mother Nature is amazing..and so are you..
Great job Michael! I played with this idea as soon as I watched it. Really gave me lots of inspiration. I tried punching different kinds of holes in the front side before gluing the pages together so the inside shows through. Love how that looks. You could also use the holes as a kind of frame and put a photo etc behind it to show through to the front. Looks like I'm going to be drowning in these things. And of course that wonderful stencil is in my basket right now. Better go pay for it before I wreck the budget with more of these tempting stencils that are begging to come live with me. Excellent post, you do not need bells and whistles. The explanation was perfect. Love!!! Hippy and triply indeed. Oh my goodness! How cool! I need to try this! 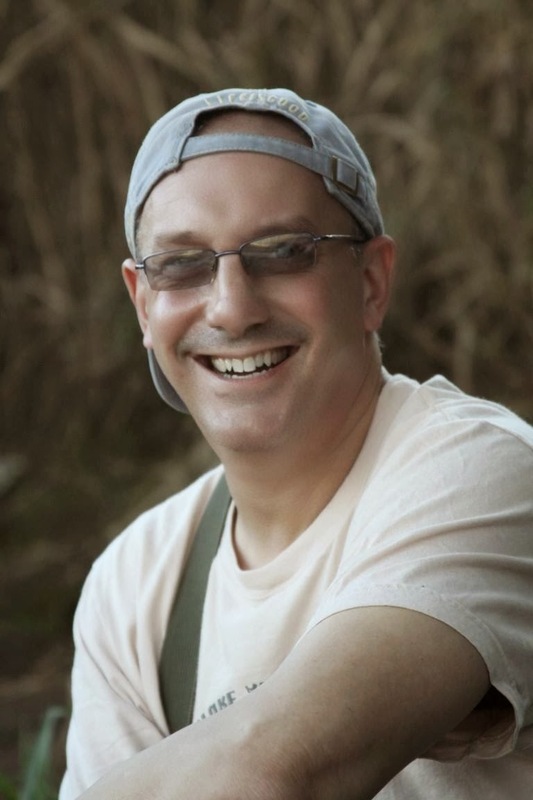 Michael, another great project. Thanks for sharing. I love your little books and your video made it look so easy. Thanks!